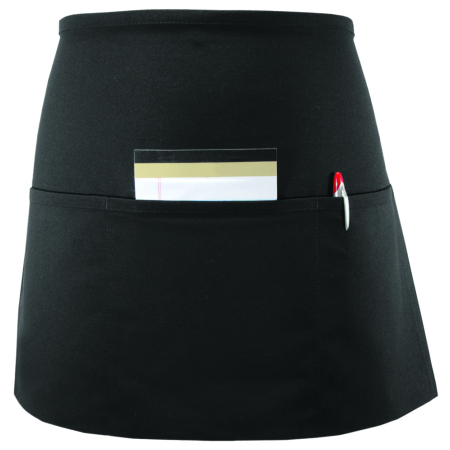 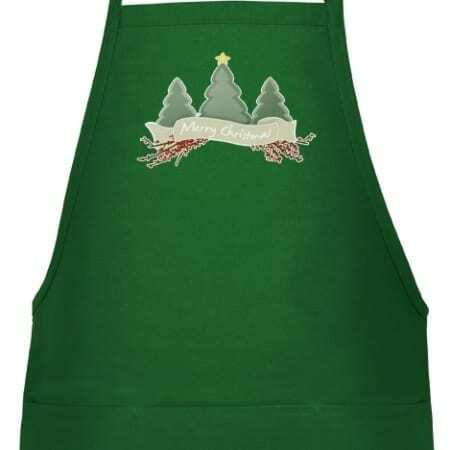 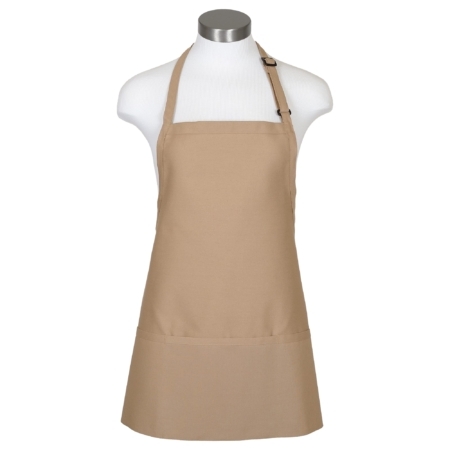 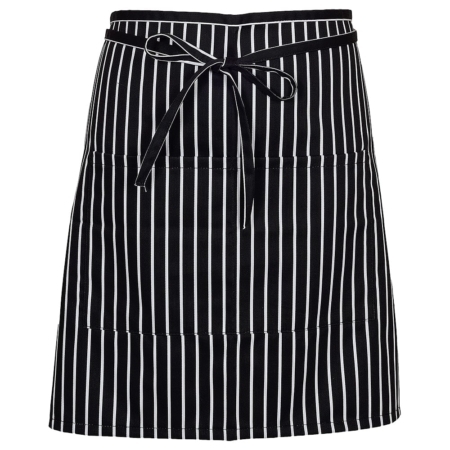 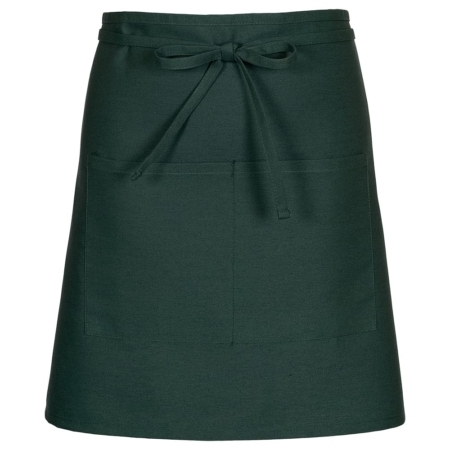 Most Popular Style of Restaurant Aprons in 25 Colors. Three divisional pouch pocket waist apron. 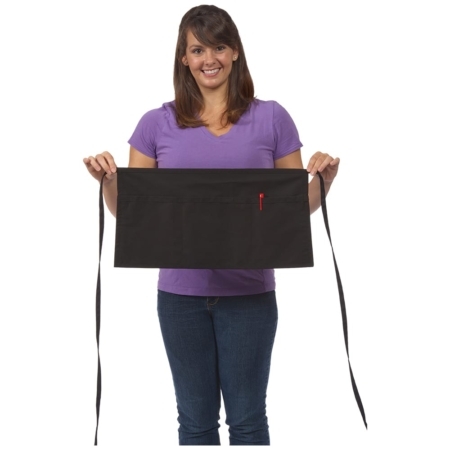 Fabric is 7.5 oz. 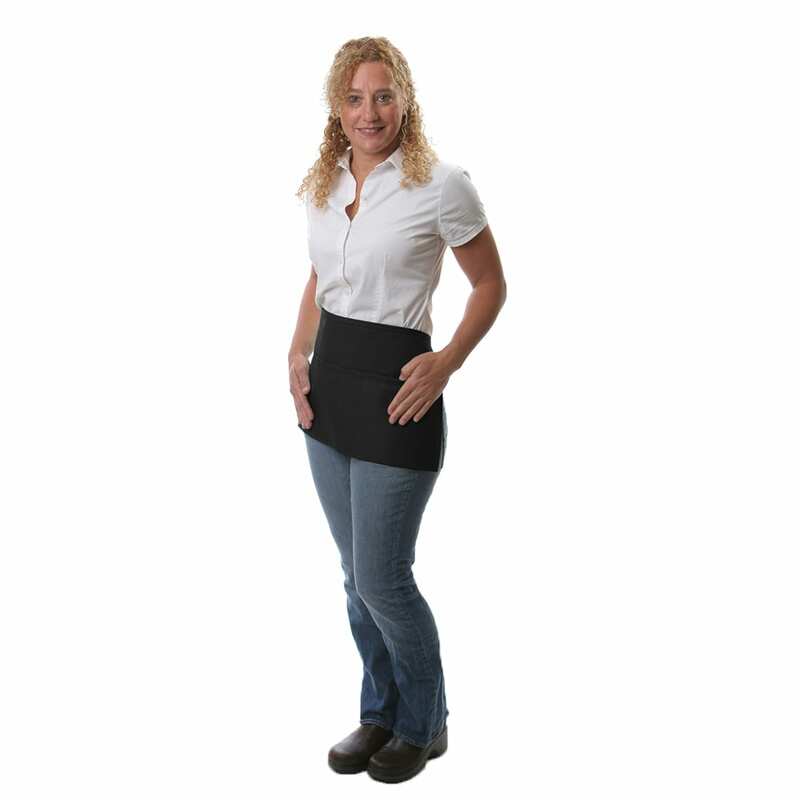 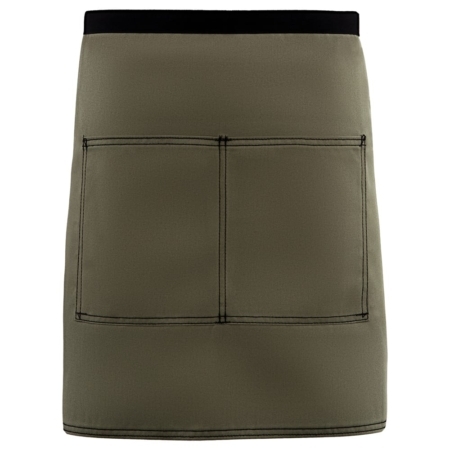 ultra-durable 65/35 poly-cotton twill for long lasting color. 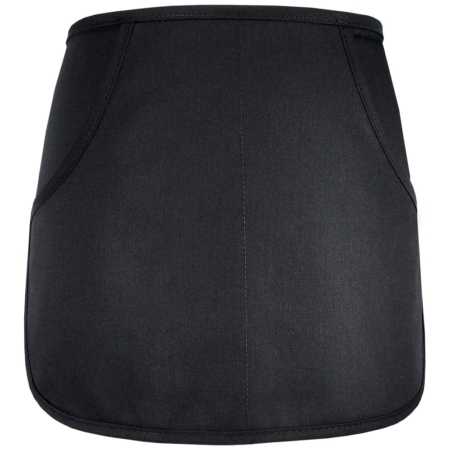 Protected by ProDura Soil Release finish. 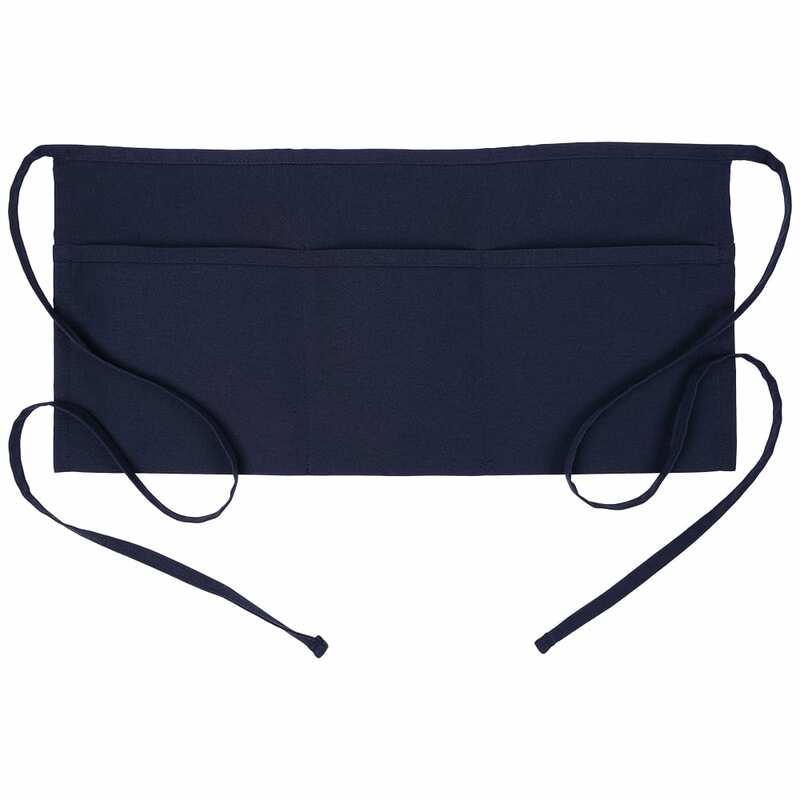 Stress Points are Bartacked. 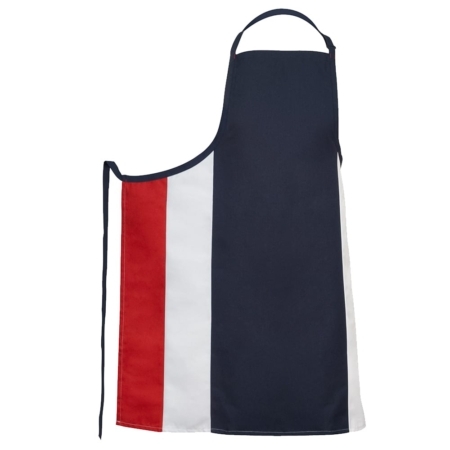 Size-11″L x 23″W.